The NZBAI organises the events with host clubs every year, with the New Zealand Open as our premier racing event. 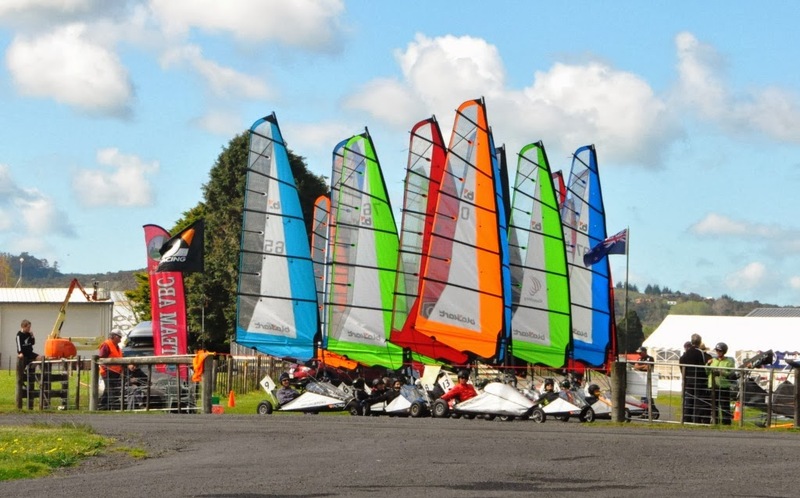 The North & South Island opens are less formal, usually held with Production Class and a C (Casual) Class for those who are new or are after fun sailing with others. Blokart is part of the NZ Masters Games in odd years when it held in Whanganui. Your NZBAI membership allows you to compete in club events around New Zealand and the world. New Zealand Open Championship – our premier event. You can find more information, notice of races and online entries for each event on the calendar (click on event for details) or in a post using the search box above. Our member clubs also hold events throughout the year, and welcome visitors. Major clubs events are listed in the events calendar, including the very popular Auckland club 90 Mile Beach Trips. If you are planning a holiday around NZ, why not check out what the local club has planned? Blokart racing is popular around the world, the two bigger associations are in the US and Europe, please check their websites to see what events they have planned. The world champs are hosted approximately every two years. Check out www.blokartworlds.com/ for more information.